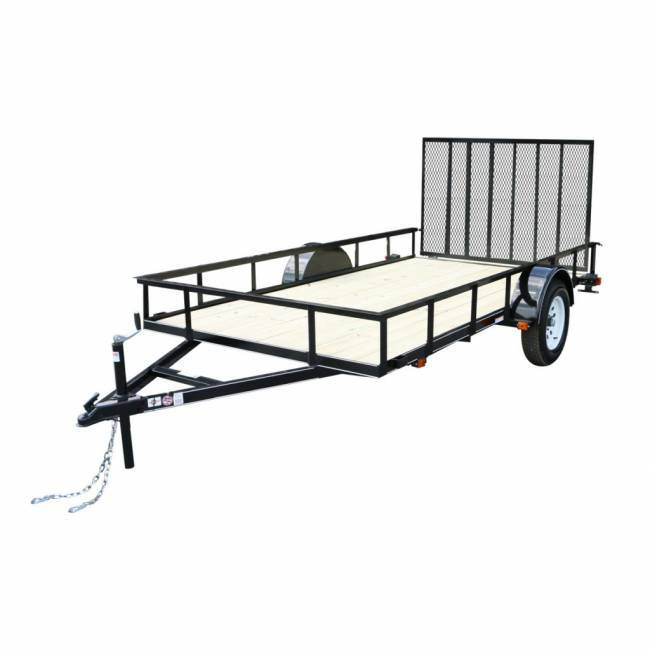 H&H sells and installs Carry-On 6x12 Treated Wood Floor Trailer's out of the following locations: Birmingham AL, Pelham AL, Trussville AL, Oxford AL, Decatur AL, Dothan AL, Warner Robins GA, Hueytown AL, Huntsville AL, Starkville MS, Montgomery AL, Muscle Shoals AL, Gardendale AL, Cullman AL, Gadsden AL, Pensacola FL, and Columbus MS. Select in-store pickup at checkout for free shipping! Certified #1 Trailer Builder by Volume. That's who Carry-On Trailer is. With corporate headquarters in Lavonia, Georgia and 7 manufacturing facilities strategically located throughout the country, Carry-On Trailer is well positioned to service our valued customers quickly and efficiently. Carry-On boasts nationwide coverage becoming the #1 volume trailer manufacturer for 2005, 2006, 2007, 2008, 2009, 2010, 2011, 2012, and 2013 as certified by state trailer registrations. Our award winning customer service department is supported by over 1,100 associates whose goal is exceeding our customers? expectations.